These high-quality rubber stamps with easy-to-grasp handles are the perfect size for little hands. 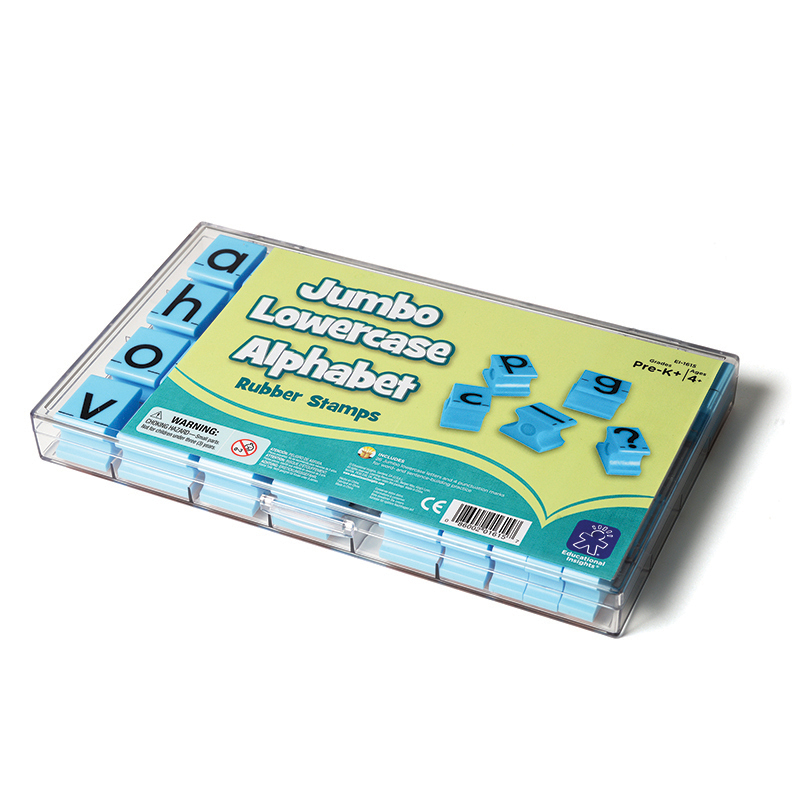 When used with colored or scented stamp pads, children can stamp alphabet sequences, words, and sentences. Each set comes in a durable, clear plastic case for easy self-storage. Includes jumbo lowercase letters and punctuation marks.